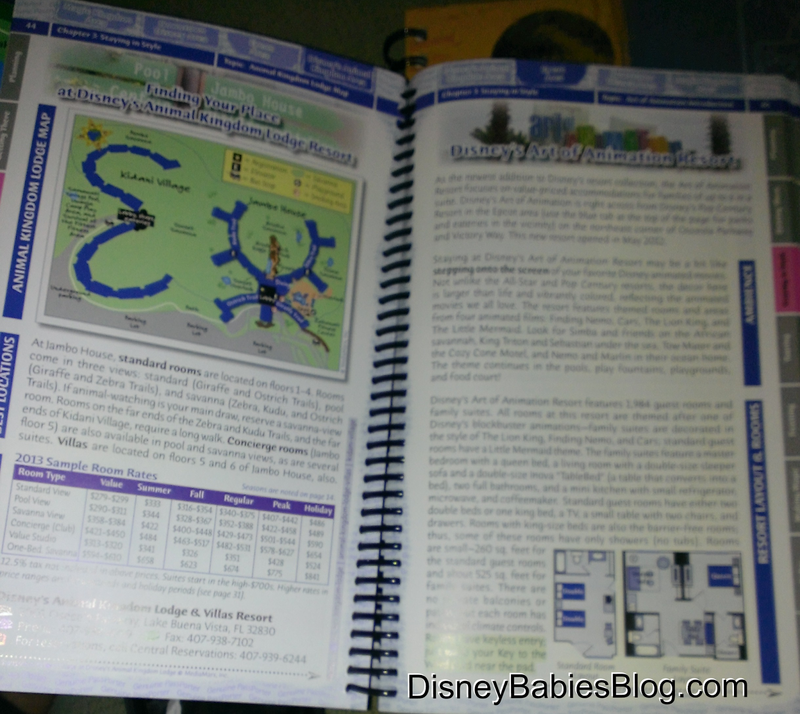 I recently received my very first copy of a PassPorter's Walt Disney World travel guide. For my February Princess Half Marathon Weekend trip, I pre-ordered one but it was delayed and not out in time for my trip. Without another 2013 trip planned, I held off, but now with a November trip in the works, I'm excited to use this and experience the buzz about these fabulous books! To start, these guides are a wealth of knowledge, but also a great source to organize information and get into the nitty-gritty of trip planning! There are charts for budgets, driving, flying - instead of spreadsheets (which I have plenty of), I can write down all of the great information in the charts! There's even a place to write down what souvenirs people need! This book even helped me actually break down how we would work driving. Yes, driving. We always fly, but now with the 4 of us (3 plane tickets) and the dog (which we normally board, but.....), we've realized how much we can save traveling during a holiday week! Even at Walt Disney World, boarding is about $60/day less expensive than boarding near us! So, I got to the 2nd section in the book "Getting There" and started to break down budget, hotel costs, gas fees, and realized how much we will save by driving. Plus, it breaks down how many miles you should reasonably cover per day (500) which helped me figure out where to stay - and of course, I wrote all of that down in the travel section! Next, the section Staying in Style has detailed maps, room layouts, price, descriptions, food, ratings, etc - I highlighted where we will be staying! okay, so my photo skills aren't always as keen as PassPorter's! Then, last but definitely not least, these books have places for you to record your memories - with pockets to keep your momentos! I love that I now have a place to actually record what I'm doing - yes, I blog about it frequently, but usually not until after! Now, I can do it while we're there to remember the details for the posts later! Complete with colorful park maps, pictures, and even guest/readers pictures, these books are fabulous. 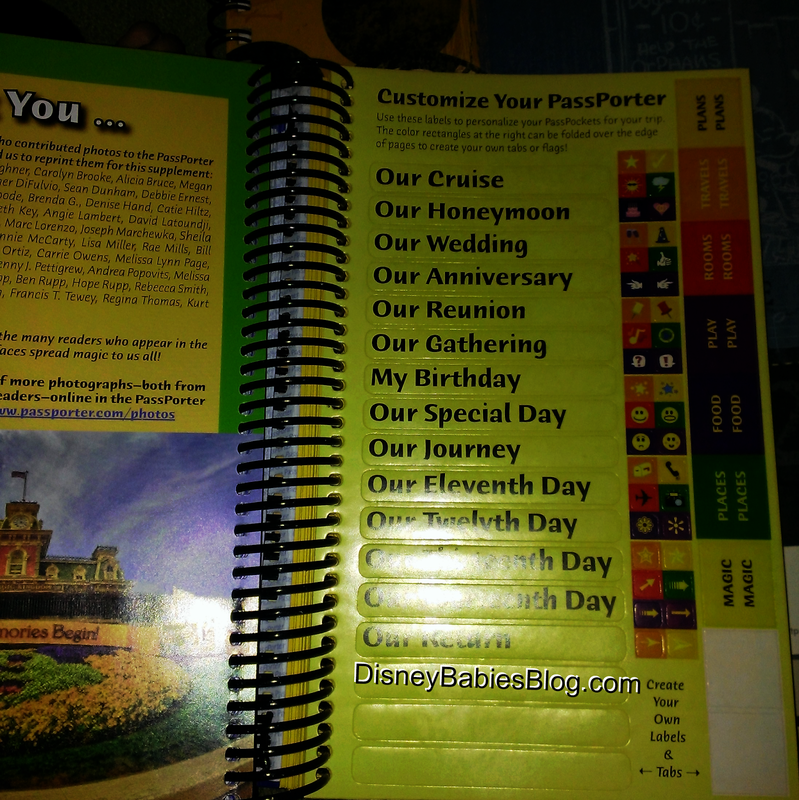 With all of the extra details for personalizing, these books are an outstanding addition to any travelers planning! 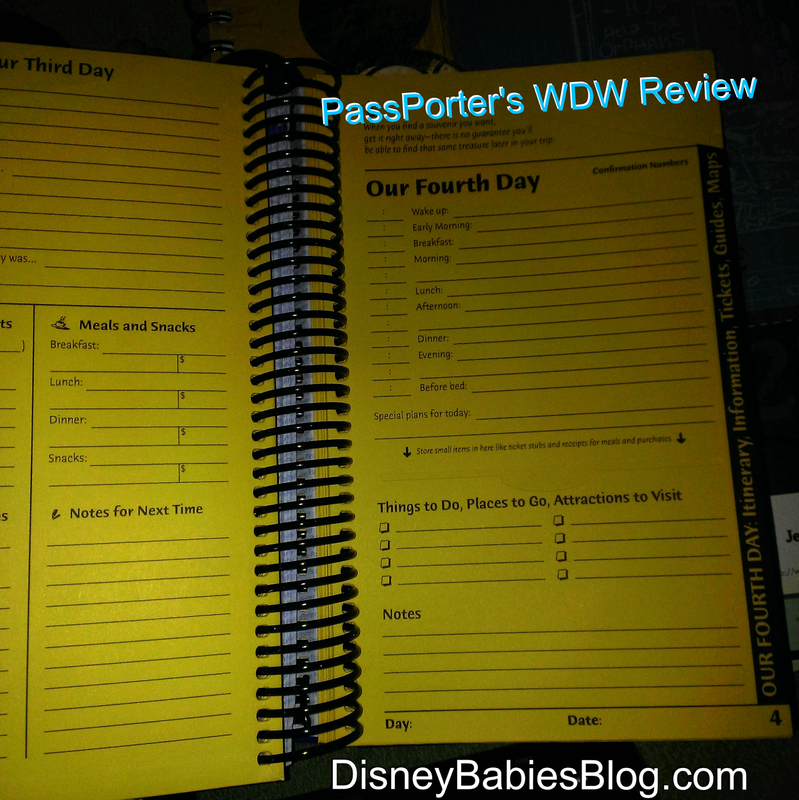 Have you used a Passporter? What is your favorite aspect of these fantastic books? I had this book for our May 2012 trip and loved it! 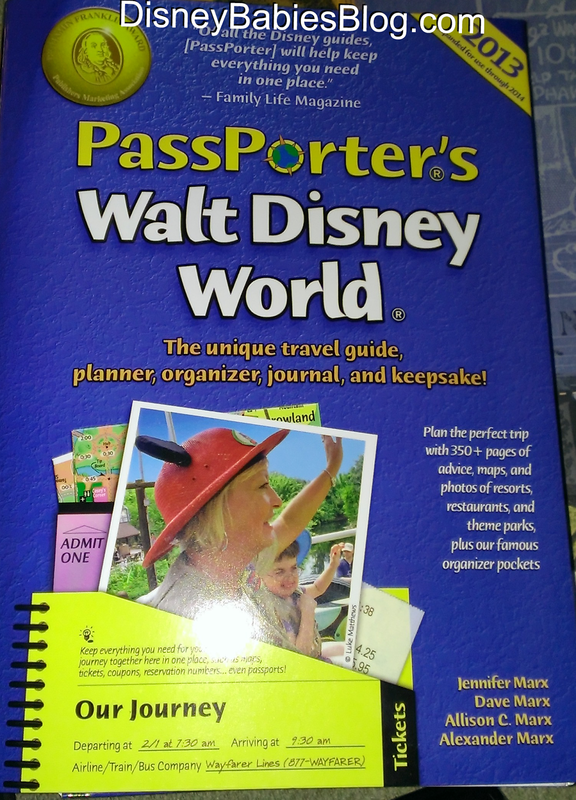 Passporters are my favorite Disney guidebooks! Cool! 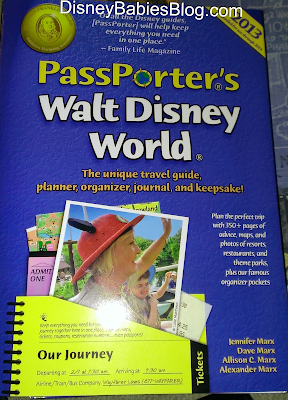 I have never used the PassPorter's guides before. I'm going to look into them for our next trip. I love my PassPorter. I keep all my receipts in the little pockets to help organize everything. I love my PassPorter too!! 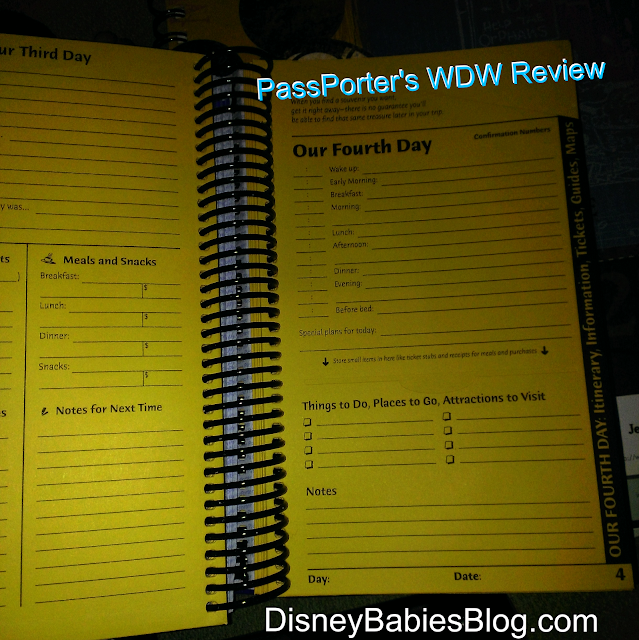 I am a WDW guide hoarder and it's one of my favoirites!! I especially love the spiral binder so that you can lay it flat. Great review.